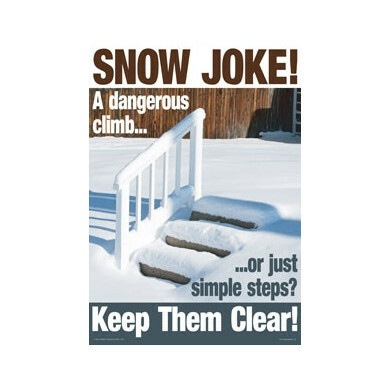 This large poster is ideal for promoting winter safety at home, work and in the community. 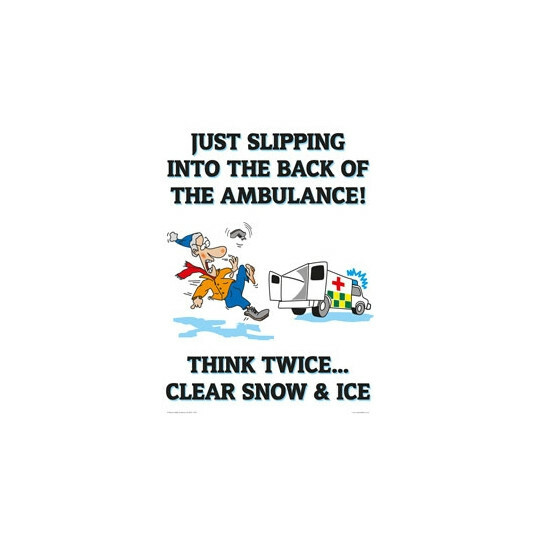 This cartoon style poster of a character 'just slipping into the back of the ambulance' is great for raising awareness of the importance of salt spreading throughout the winter months. 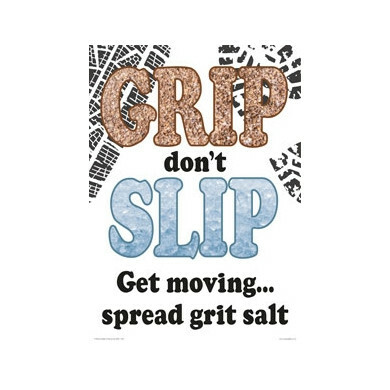 A humourous design with a serious message, this poster is sure to be a talking point.